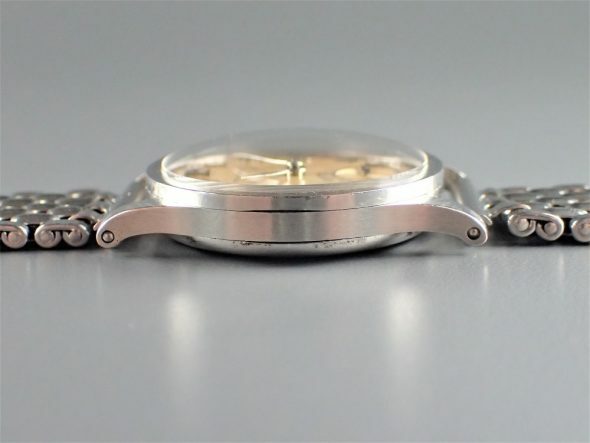 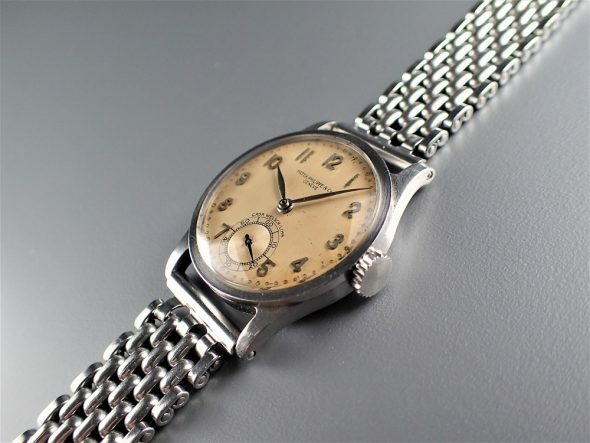 A very fine and extremely rare stainless steel manual-winding wristwatch ref.96 with arabic numerals retailed by CASA WELSCH, Lima. 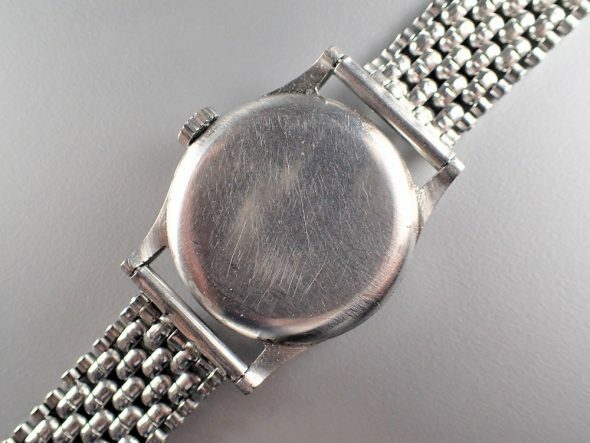 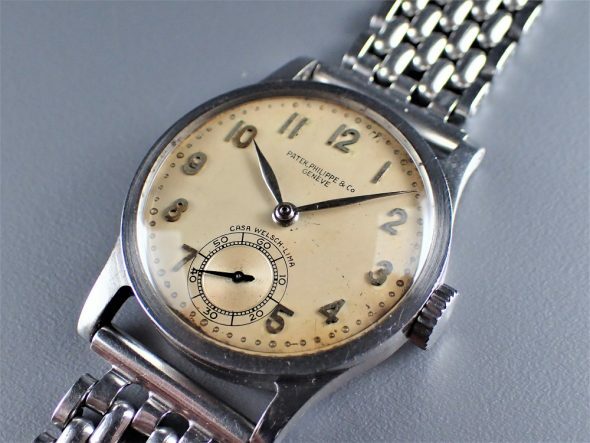 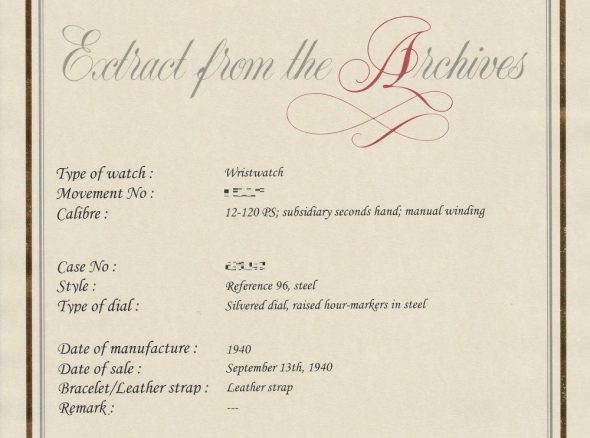 With Patek Philippe Extract from the Archives confirming production of this watch with silvered dial and raised hour markers in steel in 1940 and its subsequent sale on September 13th, 1940. 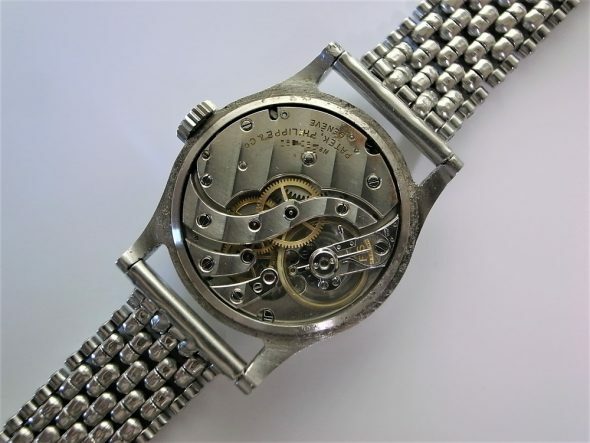 G. Welsch was founded in 1958 and was the Peruvian subsidiary of the German company GEO EHNI & Co., which specialized in the business of luxury watches and jewelry. 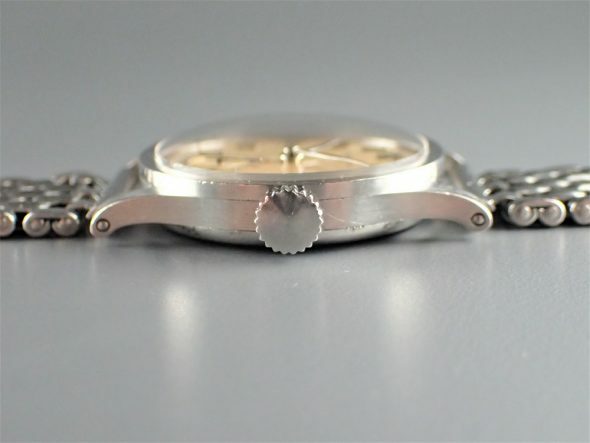 Since its founding, it has remained essectially a sole family through their 150 years of existence.